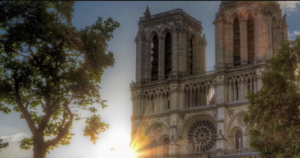 Firefighters saved the majority of the structure of Notre Dame cathedral, except for its world-famous spire, which collapsed into the remains of the cathedral that draws more than 13 million visitors a year and 30,000 people a day. 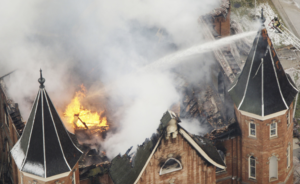 But the stunning conflagration raises questions for other major architectural structures with religious significance, including those in Utah, such as the Salt Lake Temple. 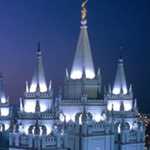 The Tabernacle Choir at Temple Square announced that Joseph Peeples has been appointed as the newest Temple Square Organist after a broad and thorough search of applicants. 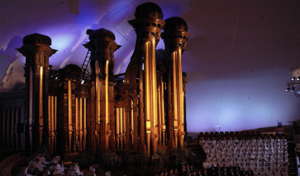 Peeples joins a long line of distinguished musicians who have served as organists on Temple Square, continuing a tradition that stretches back to early pioneer days in Utah. 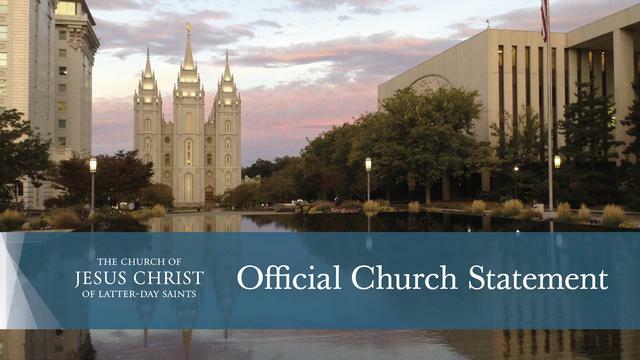 On May 3, Sister Jean B. Bingham, Relief Society General President; Sister Bonnie H. Cordon, Young Women General President; and Sister Joy D. Jones, Primary General President, with Sheri Dew as moderator, will answer questions during a live Sister-to-Sister Event at 9:00 a.m. MDT. 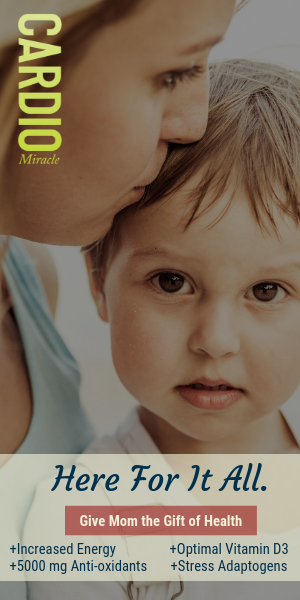 Submit your questions now online or via email. 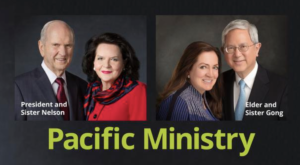 President Russell M. Nelson of The Church of Jesus Christ of Latter-day Saints and his wife, Wendy, along with Elder Gerrit W. Gong of the Quorum of the Twelve Apostles and his wife, Susan, will leave in mid-May on a ministry visit to seven destinations in the Pacific. 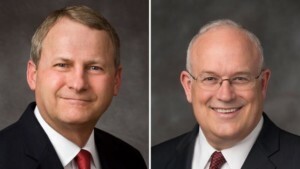 The First Presidency of The Church of Jesus Christ of Latter-day Saints has announced, effective August 1, 2019, the call of Elder Legrand Curtis Jr. of the Seventy as Church Historian and Recorder, a role previously filled by Elder Steven E. Snow of the Seventy. 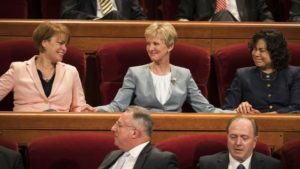 The First Presidency has also called Elder Paul V. Johnson of the Seventy as Commissioner of the Church Educational System.